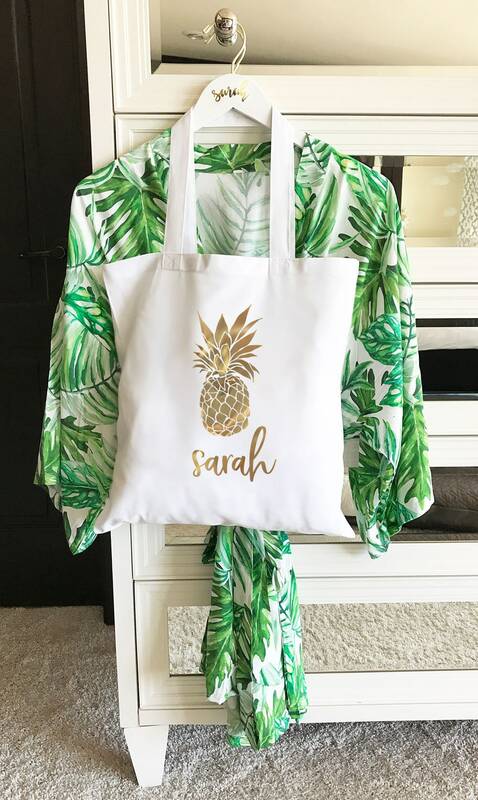 Shop around town in style with this fabulous tropical tote bag! A great gift for mom, girlfriends, bridal party, etc. 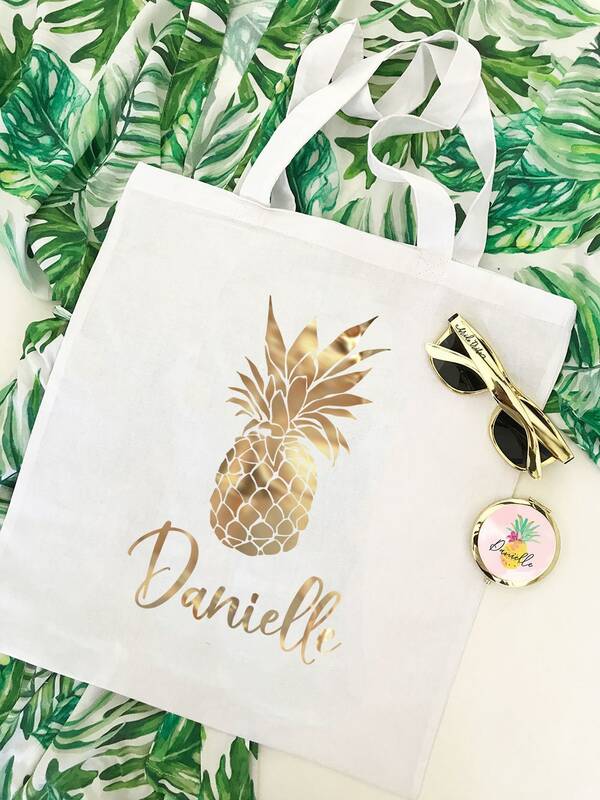 Canvas tote bag is printed with a pineapple design in beautiful gold metallic foil colors. Tote bag is available in White or distressed black. 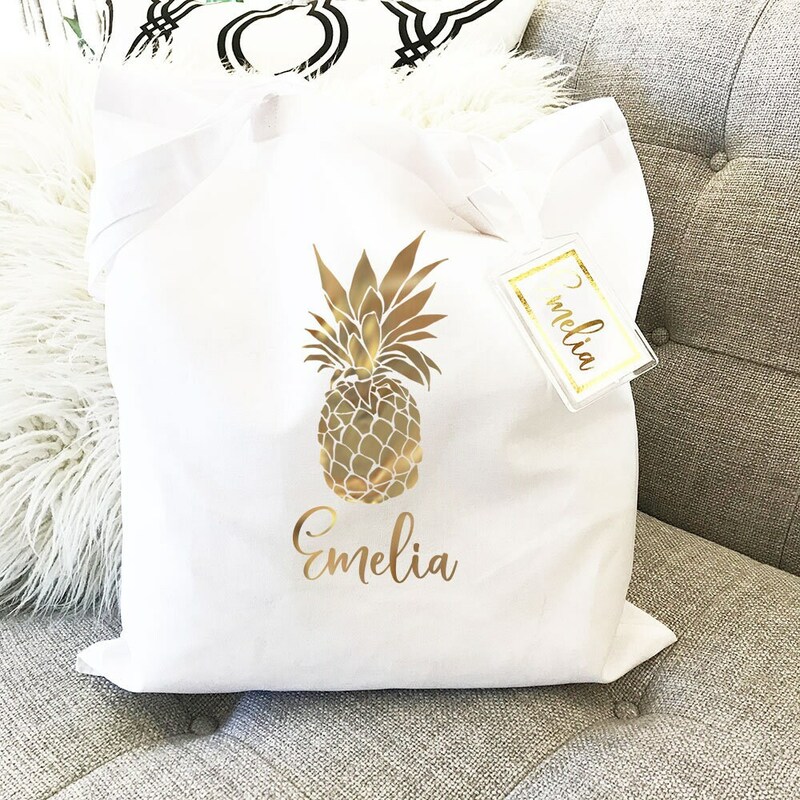 Fill them with tumblers, candles, notebooks, robes, and more for unforgettable birthday, Mother's Day or bridal party gifts! For a completely personalized look we add your name or text free of charge. 1. Use the pull down menu to select your desired bag color and quantity discount level. If ordering multiple bags, simply separate names with a comma.